This is the season for giving. 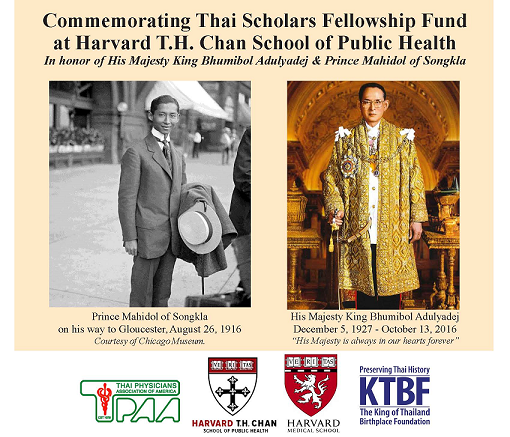 Please consider helping TPAA and TPAAF raise fund to assure that the “Thai Scholars Fellowship Fund “ at Harvard School of Public Health becomes an endowment that will forever support health professionals from Thailand to further their studies and research at the prestigious school. Giving back to our beloved homeland is the ultimate act of kindness. Please accept the heartfelt gratitude for your generosity, in advance. Please use the contribution form below to send your donation to TPAAF Treasurer.